Heereen Shim is a Marie Curie Fellow at the Personal Health department of Philips Research Europe and currently pursuing her Ph. D. at KU Leuven. Before HEART project, Shim obtained her Bachelor and Master degree in Electrical and Electronics Engineering from Chung-Ang University, Seoul, Korea. 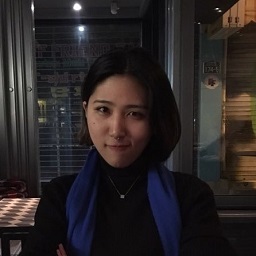 Her master’s thesis titled “Design of Facial Expression Recognition and Emotional State Estimation System Using Deep Learning” proposed the spatio-temporal model for facial expression analysis in the perspective of Human-Computer Interaction (HCI). During her master’s period, she was also working as a graduate student researcher (trainee) at Artificial Intelligence Lab at Korea Institute of Industrial Technology. Shim has worked on developing machine learning algorithms and designing deep learning architecture. Her research interests are machine learning, multimodal data processing, and HCI.